There are many reasons why people want straight teeth. Not the least of these is the fact that crooked teeth are not the most attractive feature. While a nicely aligned smile can be the part of your looks that pulls everything else together, a crooked smile can draw attention away from an otherwise striking appearance. A great smile is vital to your self-confidence, which in turn can improve your outlook on life in general. •	Crooked teeth can interfere with proper chewing, a problem which is with you at every meal if not confronted. •	Good oral hygiene (such as regular brushing and flossing) can be much more difficult and ineffective with crooked teeth. When your teeth are not straight and evenly spaced, there is a much higher likelihood that there will be hard-to-reach spaces that do not receive the proper treatment from your daily cleaning routine. As a result, unwanted plaque and tartar can build up unnoticed. Over time, this can lead to such serious consequences as tooth decay, gum disease, or even tooth loss. Since no one enjoys spending time in the dentist’s chair having root canals, fillings, and oral surgery, it is important to stay on top of your oral hygiene. 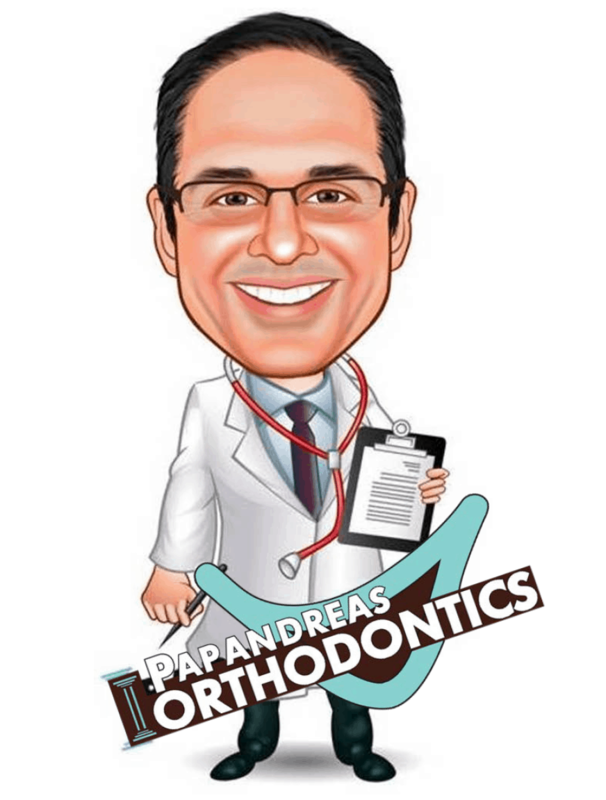 The good news is that at Papandreas Orthodontics we specialize in creating beautiful smiles and fixing crooked teeth. Orthodontics (which comes from the Greek words orthos “straight or proper” and odons “tooth”) is a special field of dentistry that concerns itself with the study and treatment of irregular bites. An abnormal bite can be the result of uneven teeth, a jaw that is out of proportion or misaligned, or both. Crooked teeth can be brought into alignment using traditional metal braces; although they are not used as much today as they have been in the past. More popular currently are the alternatives available which are less noticeable, so that orthodontic patients do not have to sacrifice their looks in the short term to have a beautiful smile forever. These less conspicuous treatment options include invisible braces and Invisalign™. Invisalign is a type of removable and virtually invisible aligner that fits over the teeth instead of wire being held in place by brackets. There are a variety of orthodontic options out there today, many of which are less intrusive and visually obvious than they used to be in days past. Whether you are a parent of an adolescent with crooked teeth that need to be straightened or if you yourself are seeking improvement in your smile, we encourage contacting our office today. The benefits are many; you will be glad you did!